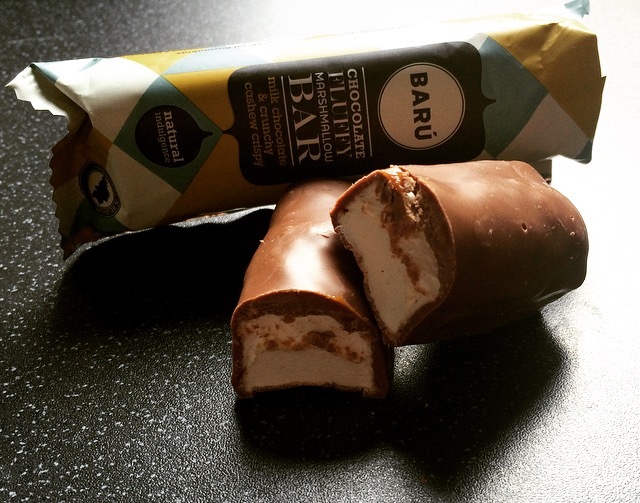 Barú marshmallows are not something that I have come across before, that was until the lovely Snack Warrior sent me a goodie bag that contained one of their Marshmallow Bars to try. Following this I spied a box of them in Waitrose and couldn’t resist buying them too. 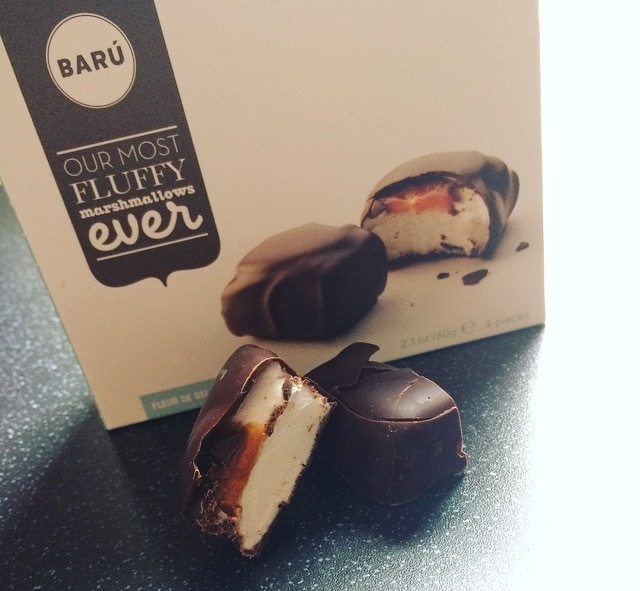 Marketed as chocolate wrapped heaven and their fluffiest marshmallows ever, Barú has a lot to live up to. In a nutshell Fleur De Sel Caramel is dark chocolate covered marshmallows with salted caramel. I have tried an abundance of salted caramel goods but never have I seen a marshmallow with salted caramel inners, so these are particularly intriguing. At £2.24 instead of £2.99 they are if you ask me a little pricey for 4 pieces of individually wrapped marshmallows. Taste wise I am not sure where fluffiest marshmallow comes into play. They are close in texture and a bit chewy, but not at all sweet which I like. 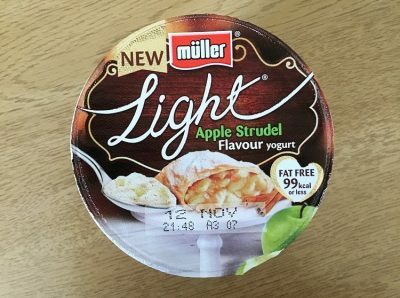 There must however have been a caramel shortage because there is only the lightest of spreads of caramel which is utterly lost against the dark chocolate shell. In fact all you can taste is dark chocolate. 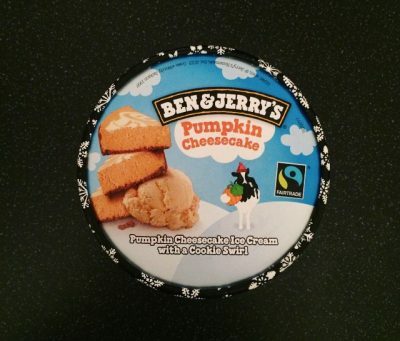 As for salted caramel, I am afraid once again we have a situation of all caramel and no salt. Such a promising little marshmallow cube, but alas it is not what it says on the box. 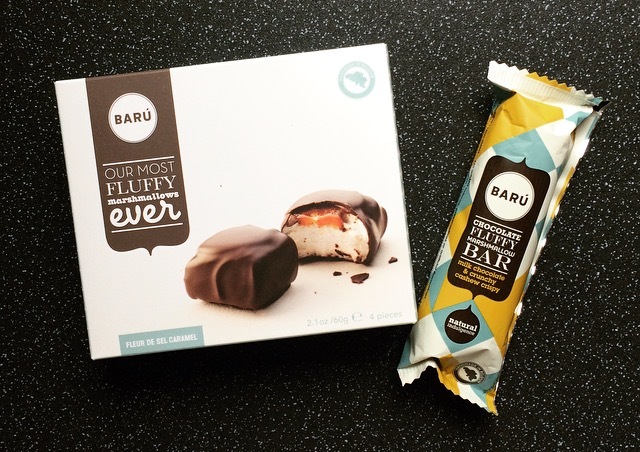 Moving onto the Barú Chocolate Fluffy Marshmallow Bar. This is no ordinary marshmallow bar, it is a milk chocolate with hazelnut praline, roasted cashews and puffed rice kind of bar. In comparison to the cubes the marshmallow was soft, squidgy and light. The crisp chocolate and puffed rice give a contrasting texture that complemented the marshmallow well. The hazelnut praline comes through however the cashews are not apparent in anyway shape or form. Given praline isn’t my first choice I was pleasantly surprised by this bar and how much I enjoyed it. I like the idea of the marshmallow bars however the price is certainly off putting.